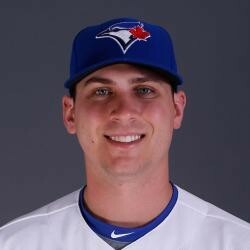 The Blue Jays have recalled 3B Andy Burns from the Triple-A Buffalo Bisons and optioned RP Ryan Tepera. The Jays had been using an eight-man bullpen and three-man bench. Burns will finally get his cup of coffee. He's been off to a just-ok start with Buffalo, batting .250 with two HR and 10 RBI. He does have three stolen bases, but has also been caught three times. Burns is unlikely to provide any immediate fantasy value.